Sponsored by The Newsome Melton Law Firm of Orlando, Florida with statistical support provided by Quality Control Systems Corp. for The Safety Institute. 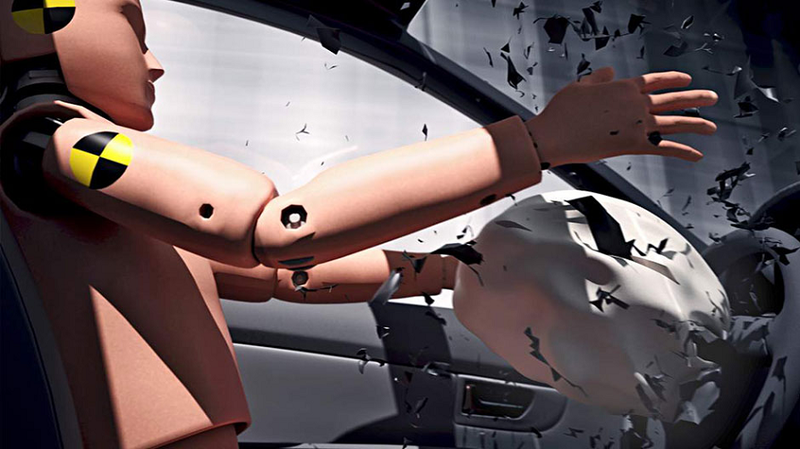 In May 2015, NHTSA announced that it was taking the unprecedented step of coordinating a four-year plan of “just-in-time” recalls to replace nearly 69 million defective Takata airbags by 2019. The phased-recall strategy was intended to balance scarcities of the replacement parts against the need to make repairs before the inflators explosively rupture. April through July 2016 shortages of Takata airbag replacement inflators despite Federal order to affected manufacturers. 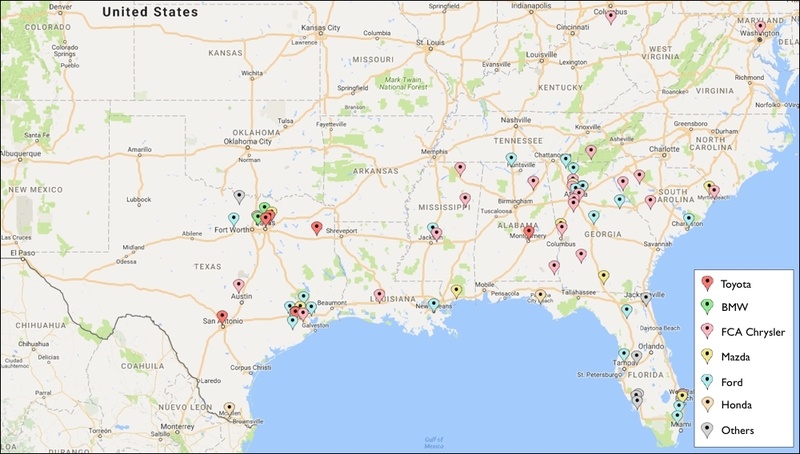 Note: some reports may not be shown on this map. April through July 2016 shortages of Takata airbag replacement inflators in California despite Federal order to affected manufacturers. Note: some reports may not be shown on this map. Despite evidence linking some inflator ruptures to propellant manufacturing and handling control problems, NHTSA determined that the risk of inflator rupture depended on the location of the inflator in the vehicle, its age and its exposure to high absolute humidity for vehicles. Under this root-cause theory, NHTSA gave the highest priority for airbag inflator replacement to model year 2008 or older vehicles which have been registered in the following states and territories: Alabama, California, Florida, Georgia, Hawaii, Louisiana, Mississippi, South Carolina, Texas, American Samoa, Guam, the Northern Mariana Islands, Puerto Rico, and the Virgin Islands. This “Priority Group 1” also includes a small number of newer models, and vehicles registered outside of these states. NHTSA required that manufacturers have all necessary replacement inflators available in these areas by March 31st. 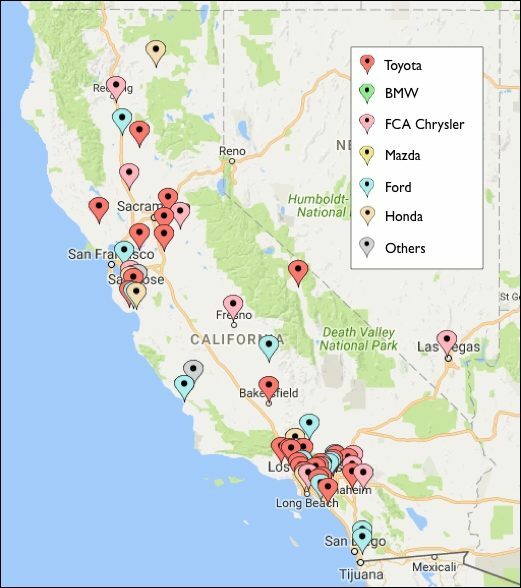 Consumer complaints, flagged by location, identify where NHTSA’s Order has not resulted in a sufficient supply of inflators for owners in Priority Group 1 who want repairs. The maps show that consumers are still being denied a recall remedy months past the March 31st deadline. Consumers’ reports of parts shortages are summarized by manufacturer. It has become manufacturers’ routine response to injuries or deaths caused by an exploding Takata airbag inflator to cite the precise number of notices that have been sent to the driver before the incident and to re-state the urgent need for all consumers to immediately seek a repair. However, the consumer complaints identified in this study show that many consumers are actually making multiple unsuccessful attempts to obtain recall repairs. For examples, read these summaries of consumer complaints about the unavailability of replacement bags to NHTSA, reported from April through July 2016. The number of consumers who have complained directly to NHTSA about their inability to obtain recall repairs is likely a small fraction of those who have been turned away by dealers. April through July 2016 shortages of Takata airbag replacement inflators in southern U.S. despite Federal order to affected manufacturers. 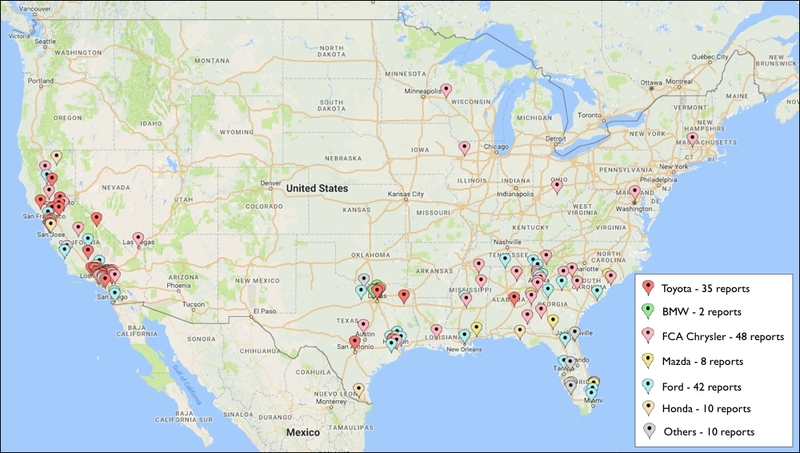 Note: some reports may not be shown on this map. Despite these complaints, NHTSA has not announced any penalties assessed against manufacturers for violating its Coordinated Remedy Order. Nor does it appear that NHTSA is investigating potential violations of its Order. The agency did extend its deadline for certain BMW vehicles at BMW’s request. The next deadline for manufacturers to take care of vehicle owners in the second highest priority group is September 30. And another round of inflators recalls is scheduled December. The current consumer complaints suggest that it will be difficult for some manufacturers to acquire an adequate supply of replacement inflators for the next highest risk group which extends throughout the country. While there are, as yet, no consequences for manufacturers who do not meet their recall repair obligations, the inability of the supply chain to keep up with the demand could have very serious ones for consumers.